With the death of Supreme Court Justice Antonin Scalia, everything politically and economically changes. This powerful intellectual defender of the Constitution was the leading voice and vote for freedoms of speech and religion, as well as fighting to preserve the moral fabric and legal integrity of this country. With the ongoing attacks against religious liberties, we have lost an ally. Following our gains to limit and stop abortion, we have lost a friend. This election is about the Supreme Court. A liberal/progressive President could lead to a like-minded a judicial tyranny that stomps out our First and Second Amendment Rights, the erosion of free enterprise and so much more. It would harm a generation of Americans, and lead to the further decline of the United States. a. Bush, Kasich, and Trump: no principled litmus test. Bush has even stated that he does not care about this next appointment. b. Hillary Clinton and Bernie Sanders have liberal litmus tests, and want President Obama to appoint the next Justice. c. Cruz: The next Justice must be a strict constructionist: pro-life, pro liberty, pro-Second Amendment, etc. d. Rubio and Carson have not provided specifics on whether they would apply litmus tests to future appointees. 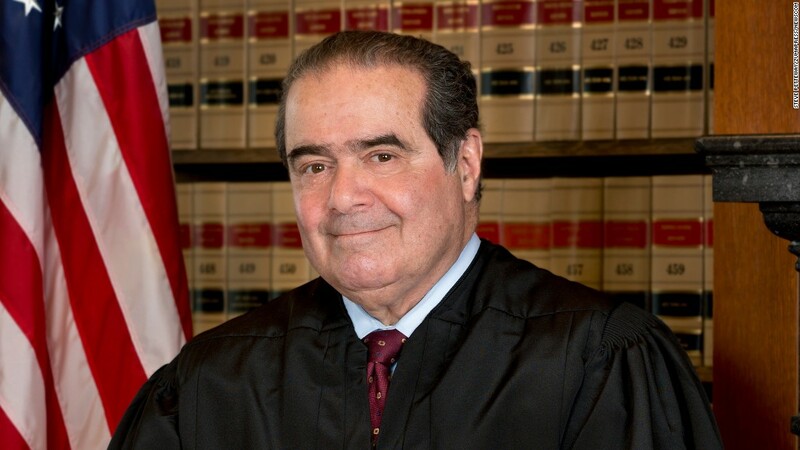 The next President should appoint Scalia’s replacement, not Barack Obama. A third appointee from Barack Obama would give the court majority voting bloc a disturbing, liberal edge, and further erode our rights and liberties under the Constitution for 10, 20, maybe 30 years. The fight over the next Supreme Court nominee proves once again that the Judicial Branch of the federal government has taken on too much power. 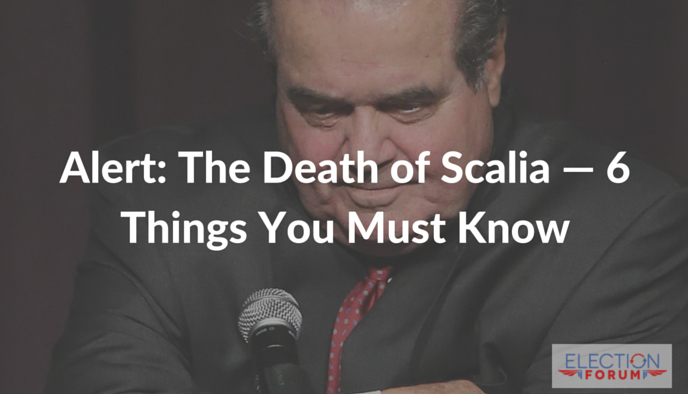 Justice Scalia’s untimely death will dramatically change current Supreme Court decisions. These winnable cases are probably lost for now without Scalia’s powerful tie-breaking vote, since the current court is divided with 4 liberal judicial activists against 4 normal strict constructionists. a. Friedrichs v. CA: The five strict constructionists would have struck down forced union dues from non-union employees, thus crippling labor unions and their political power. b. Fisher v. University of Texas at Austin: Can race be used as a factor in college admissions? This case could further reduce affirmative action in university enrollment. c. Zubik v. Burwell: Does a religious organization have to provide contraceptive health care to employees in the company’s insurance coverage? d. Whole Woman’s Health v. Cole: This pro-life/abortion case challenges a recent Texas ordinance which would limit the number of abortion clinics, based on protecting women’s health. Now more than ever, Americans need to get out to the polls. They are not just voting on the next President, but also the composition of the Supreme Court for the next generation. According to Roger Stone, Trump will nominate a Supreme Court Justice who is a strict constructionist and definitely pro 2nd Amendment. Roger Stone is one of Trump’s advisors and is aware of the New World Order and its evil attempt to undermine America. Stone recently published two books, one discrediting Hillary Clinton and the other discrediting the Bushes. He was personally involved in their administrations and knows the inside facts. It took great courage for Trump to publicly discuss his desire to audit the Federal Reserve and his wish to release the 28 page 911 Congressional Report that has been hidden from the American public.